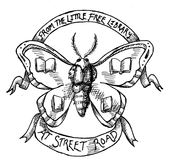 Street Road has a regular reading group series, new members and book suggestions welcome!! Click here to find out more. 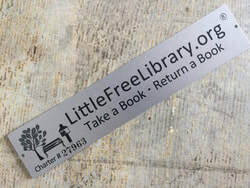 Street Road is a proud participant in the International Little Free Library (LFL) Movement, which seeks to unify and vitalize communities by increasing the accessibility of literature. Our free on-site library, which focuses on books relating to art, land, and the environment, is open daily. If you have a book you’d like to share, please consider donating to our expanding and eclectic collection in exchange for some fresh ideas. We hope this venture will facilitate new connections and be a catalyst for reciprocity and ongoing dialogue. Friend Street Road LFL on Good Reads to see a full catalog of our books.